Simply put, bathtub liners are sheets of PVC plastic or acrylic which are molded to the shape of a tub, placed over your existing tub, and then glued down to cover it up. Why trade the deep gloss of refinished porcelain tub for the look and feel of plastic. By refinishing your bathtub you can avoid the various pitfalls associated with a meager bathtub liner. Choosing Miracle Method to handle your bathtub refinishing project is both affordable in the short-term as well as more beneficial over the long term. Instead of numerous employees handling different stages of the bathtub liner installation process — something that could take weeks when all is said and done — a Miracle Method certified technician can complete the entire transformation in just two days. More importantly, when utilizing an inferior solution like a bathtub liner, cracks or leaks are likely to develop over time. This can cause problems like mold, damaged plumbing, or a “squishy” texture in the entire tub. While certainly unpleasant, these consequences can also lead to serious health problems for you and your family. Why take risks? Ensure both the safety of yourself and your family, as well as the future of your bathroom, by contacting Miracle Method. 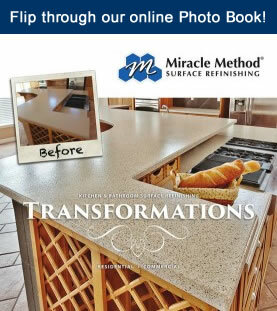 With over 34 years of proven experience as the nation’s largest surface refinisher, Miracle Method has successfully repaired and refinished tubs, tile, and countertops for over 1 million satisfied customers. 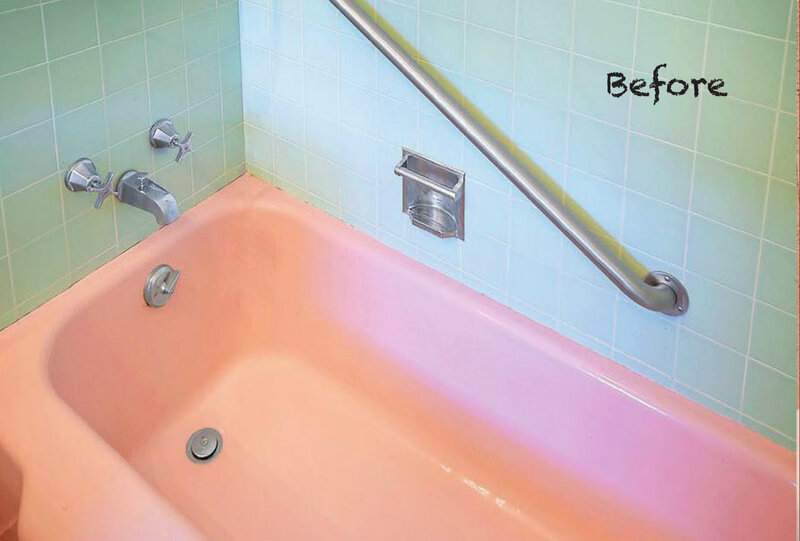 Miracle Method has been transforming dreary hotel bathrooms look like new for over 34-years. Using only the finest coatings and an unmatched loss of adhesion guarantee, Miracle Method has become the preferred surface refinishing company to many national hotel brands. 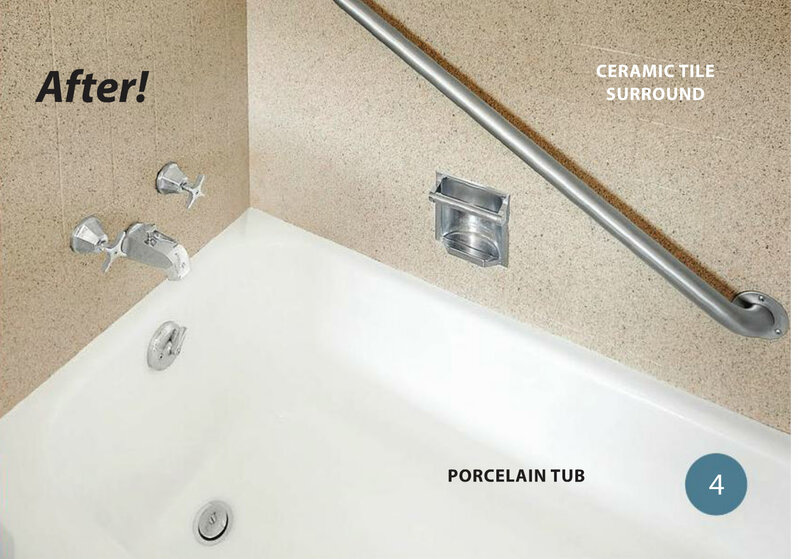 Miracle Method’s process works equally well on porcelain and fiberglass bathtubs and cultured marble and laminate vanities. For more information about Miracle Method can help your hotel visit www.miraclemethod.com/commercial and fill out the Request for Quote or call 888-741-3511.